Couples There are 3 products. Quartz watch for her & him. Window material: hardlex. Band material: leather. Case material: bamboo. Movement: Quartz. Dial diameter: 38mm. Band width: 22mm. Band length: 22cm. Case thickness: 10mm. Please select an option. 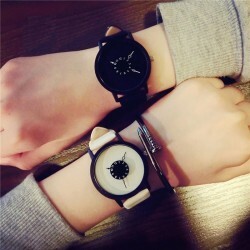 Quartz watch for couples. Dial window material: hardlex. Case material: stainless steel. Band material: leather. Dial diameter: 38mm. Band length: 24cm. Band width: 20mm. Please select a type. 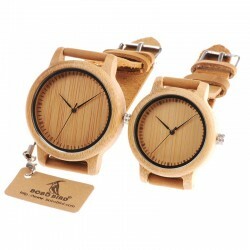 Analog quartz watch unisex. Band material: PU leather. Case diameter: 3.5cm. Case thickness: 0.7cm. Band length: 24cm. Adjustable buckle band. Please select a color.